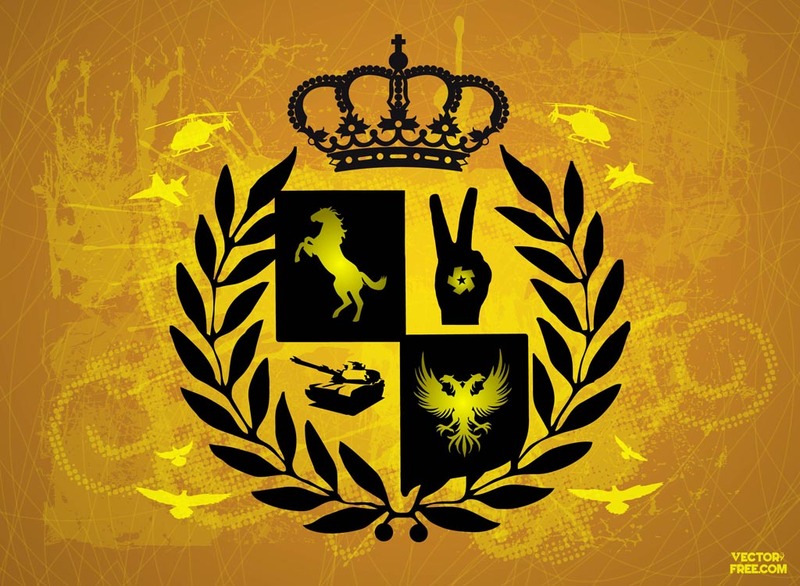 Armorial gold heraldry vector shield design of wreath illustration with crown silhouette and jumping horse, tank, two-headed eagle and victory hand and star graphics. Download wreath vector on golden grunge backdrop with halftone patterns, splatters, splashes, helicopters, military jets and bird’s silhouettes. Tags: Army, Eagle, Heraldry, Horse, Royal, Russia, Serbia, Victory, Wreath.